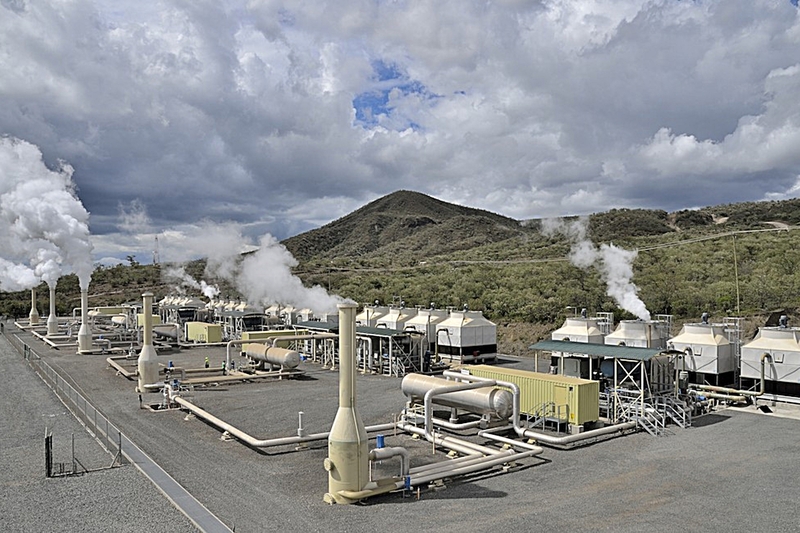 Kenya is endowed with vast geothermal resources with an estimated potential of between 7,000-10,000MW equivalent located within the following sites in the Rift Valley: Suswa, Longonot, Olkaria, Eburru, Menengai, Arus-Bogoria, Lake Baringo, Korosi, Paka, Lake Magadi, Badlands, Silali, Emuruangogolak, Namarunu and Barrier. As at September 2011 the installed capacity of Geothermal Energy generation was 198 MW equivalent to 14% of total installed capacity. Generation using this resource was concentrated in the Olkaria Geothermal Block and accounted for about 20% of actual electrical energy production. Of the 198MW, 150MW is operated by KenGen while Or Power 4 Inc. generates the other 48MW. In recognition of the costs and risks of geothermal exploration, the Geothermal Development Company (GDC), was established to undertake geothermal resource development and assessments in the areas of exploration, appraisal, production drilling and steam sales for electricity generation. GDC will develop and implement the Geothermal Development Plan which targets the drilling of about 1,130 wells to provide steam for the planned 5,530 MW of projected capacity by 2030. GDC also seeks to promote the use of geothermal energy for other industrial applications. In addition to generation of electricity, the thermal energy from geothermal well can be used for various industrial applications as illustrated by the Oserian flower company in Naivasha. Oserian has introduced flower farming using geothermal heat to boost productivity as well as conform to internationally accepted regulations on carbon emission. The Naivasha based flower farm is using geothermal energy from wells leased from Kengen for its farming requirements. In addition to driving electricity-producing turbines, Oserian uses the mixture of steam and carbon dioxide not only to heat the water which heats the greenhouses. The carbon dioxide released is not allowed back into the environment buts is trapped and piped to the greenhouses to feed the photosynthesis and improve the quality of the flowers.